Bring a breath a freshness to the beach in this scoop neckline swimsuit from Prosun. This sorta swimming costume is the most basic shape of ladies swimwear, like a round neck t-shirt! Look for this piece [here]! Get your 20% discount now! High-waisted and Mid-waisted pants have rolled back into fashion. Ever thought of incorporating the-everyday-stylish you into your swimming costumes too? This mid waist hot pants can be matched with any bikini top, tankini top or rashguard! Explore depths of the sea by going snorkeling! Complete this snorkel with Prosun's mask and gear up for snorkeling, recreational swimming and underwater exploring. What makes this piece worth the buy? Silicon mouth piece and easy water clearing purge valve. 7 days left and counting! Don't miss out on Prosun's Raya and Merdeka Sales 2011. Wanna look cool by the beach? Beach shirts were a rage during the 80's and now they're back! Get [this] if red is your colour! In conjunction of the upcoming Raya and Merdeka celebration, get your batik shirt from Prosun. Currently, we are holding a 20% storewide Sale. The title explains it all. Where can you get monokini in Malaysia? Sometimes it's so hard, having to buy online from overseas! Now here's one quality assured Prosun Monokini. It's named Shakira because it screams hips don't lie! Don't miss out on this month's Prosun Swimwear Raya and Merdeka Sale. Purchase ANY swimwear, yes, including the ones above and get 20% off! Sale ends on the 31st of August. So Hurry! Hurry! We were playing a 'catch the torpedo toy' game in the swimming pool, when a kid came over and snatched the toy away. He fell in love with it and begged his mom to buy one for him. Wonder why this toy is so popular? It glides up to 40 feet like a submarine underwater! Give this torpedo toy a slight thrust, and it'll speed away! Prosun is having a 20% discount storewide sale in the month of August! Ladies Halter Neck Swimwear at 20% Off! 20% storewide is an awesome deal! Don't miss out on Prosun Merdeka and Raya Sale! 20% off ANY PURCHASE in the month of August! More Prosun Men's Swimwear on Sale! This grey swim trunk is now ONLY RM10! Usually at RM 45, so for the month of August, this piece is totally worth it! Head over to [Men Grey Swim Trunk] for details. Simple, comfortable and durable, this pants is everything you're looking for. It can be used in almost all activities like swimming, snorkeling, hiking and cycling etc! Don't miss out on Prosun Swimwear Raya and Merdeka Sale! It's 20% Storewide! Spend above RM200 and get FREE shipping as well as a FREE gift toy! Men's Trunks at only RM10! This month, Prosun Swimwear is having a major price slash for selected men's swimwear! Conservative Swimsuit Set for Ladies at 25% off! 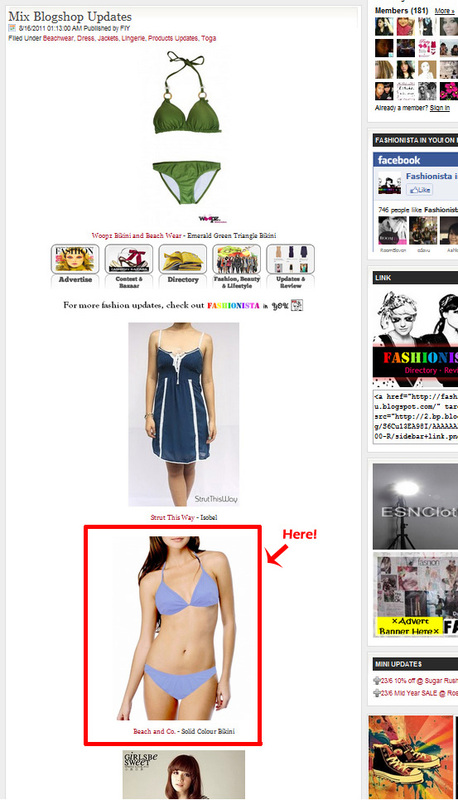 Assuming you're Google-ing for Islamic swimsuit for ladies, modest swimwear, swimwear for Muslim, Muslimah swimwear etc. Found what you need? Most likely your search results are showing swimwear from Middle East or China. Wanna look for something closer to home? OEM and Wholesale Available too! Just drop us an E-mail. Prosun is the pioneer of muslimah swimsuit sets in Malaysia. 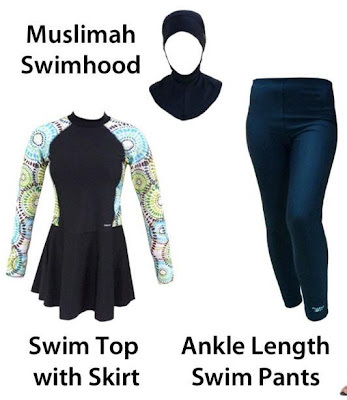 The 3 elements to complete a muslimah swimsuit set. Click [Sales] to view posts on sales! Click [Items 50% off] and [Items 60% off] for our bargain section! Click [About us] to get to know our brand. Click [Conservative Swimwear for Muslim] if you wanna see more of our modest swimsuit collection! Visit Swimwear Malaysia Online Shop for more! Solid Coloured Bikinis below RM 50 in August! 60% Off for Selected Water Games!